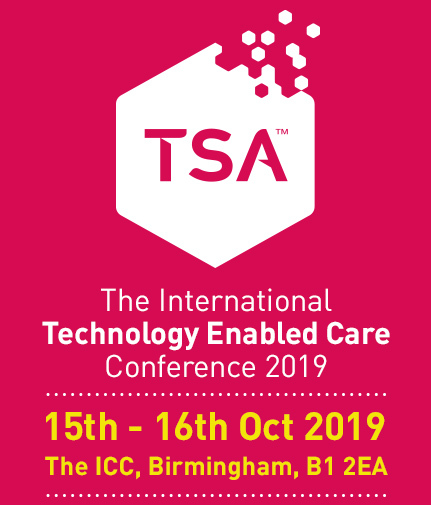 We’re looking for examples of best practice in technology enabled care (TEC) to showcase at TSA’s annual conference. Over 850 delegates from the health, social care and housing sectors will be attending so this is a great platform to raise awareness of your work. Are you able to present to a conference audience for 15 minutes about a recent project and talk about results from an analysis or evaluation? If so you may be interested in submitting a proposal for the 2018 International Technology Enabled Care Conference. TSA`s annual conference takes place on the 16th & 17th October at the ICC, Birmingham. The theme this year is ‘Connecting People, Improving Lives: A digital future for technology enabled care’. Please submit a short summary (up to 500 words) of your project. You can also attach a pdf of an evaluation, but a summary must be included. Product/service presentations from manufacturers and suppliers are also acceptable as long as they include an evaluation. A selected number of submissions may be selected to be written up as a case study and featured on the TSA website and at the TSA conference. Commissioning care and support in the digital world – service redesign. Practical examples of how NHS, social care and housing organisations are redesigning services to be more person-centred. Offering better support for carers and families and to position the right care at the right time for more cost-effective delivery of social care and health services. Prevention and Reassurance – the role for a consumer market. Can you demonstrate how rapidly developing digital technologies can be made available more widely to help a greater number of people to manage their health & wellbeing with the potential to reduce the pressures on the NHS, housing and social care. Digital transformation for technology enabled care – managing the risks and maximising the opportunities. Bearing in mind our Digital Shift campaign work, can you demonstrate how your digital solution is leading the way and emerging as a digital exemplar, maybe through the use of technology and/or data as a key enabler to support increased independence and future-proof services. Download the Call for Papers Information sheet. Download the Call for Papers submission form. Submissions accepted – If you are successful in your submission you will be given a 15 minute speaking slot as part of an hour long themed breakout session. Your session could be on either day of the conference and slides used during your presentation will be made available on the TSA website after the event. Presenters must be registered and pay any applicable attendance fees. A selected number of submissions may be selected to be written up as a case study and featured on the TSA website and at the TSA conference.